For years, a 140/90 reading was the indicator for high blood pressure. Now, new hypertension guidelines have the medical community rethinking the “when” and “what” of treatment. Keeping our blood pressure in check got a bit more challenging in November 2017 with the announcement of new hypertension guidelines. Change is inevitable, especially in medicine. As new evidence emerges, clinicians often must respond in kind by adjusting their recommendations for treatment and altering the advice they give to patients. Sometimes these shifts in direction are slight, while other times they mark a sea change. And so it goes for the ever-changing currents of blood pressure management. In November 2017, new hypertension guidelines issued by the American College of Cardiology (ACC) and American Heart Association (AHA) redefined the threshold for high blood pressure. Since 2003, hypertension has been defined as a systolic blood pressure of 140 mmHg or higher or a diastolic pressure of 90 mmHg or higher. These parameters were set by a panel appointed to the Seventh Joint National Committee (JNC 7), which established a treatment goal of less than 140/90 mmHg for most hypertensive patients and less than 130/80 mmHg for those with chronic kidney disease or diabetes. Later recommendations maintained the 140/90 mmHg threshold but established 150/90 mmHg as the blood pressure treatment target below which people age 60 and older without diabetes or kidney disease should strive. What Prompted New Hypertension Guidelines? The ACC/AHA new recommendations—published Nov. 13, 2017, in the journal Hypertension as an update of JNC 7—redefined hypertension for all adults as a systolic blood pressure of 130 mmHg or higher or diastolic pressure of 80 mmHg or higher. New hypertension guidelines mean the threshold for high blood pressure essentially lowers from 140/90 to 130/80. 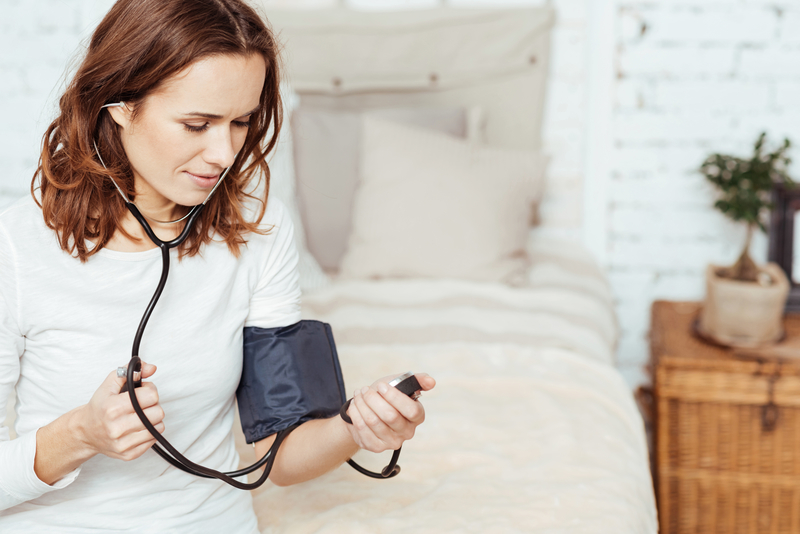 Essentially, about 31 million Americans went to bed one night with prehypertension and awoke the next morning with hypertension as the new guidelines were announced. Under the new recommendations, nearly half (46 percent) of Americans now have hypertension, up from 32 percent under the JNC 7 definition. 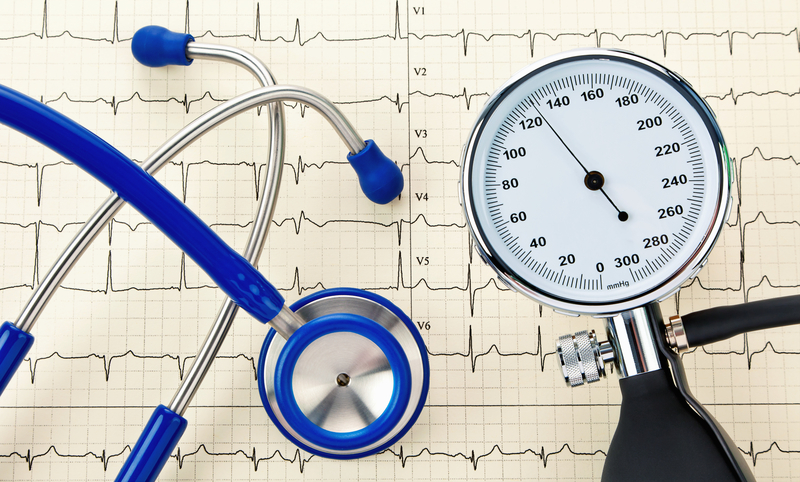 Yet only a fraction of patients newly classified as hypertensive under the new guidelines will require medical therapy to control their blood pressure, the guideline experts note. Rather, the majority can reduce their blood pressure with non-pharmacologic approaches, such as a heart-healthy diet and exercise regimen. Normal: Encourage healthy lifestyle changes to maintain a normal blood pressure. Elevated: Recommend lifestyle changes and re-evaluate cardiovascular risk in three to six months. Stage 1 hypertension: Calculate 10-year risk of heart disease and stroke using the atherosclerotic cardiovascular disease risk calculator. For patients with a 10-year risk below 10 percent, recommend healthy lifestyle changes and re-evaluate cardiovascular risk in three to six months. For patients with a risk of 10 percent or greater or who have known cardiovascular disease, diabetes, or chronic kidney disease (CKD), recommend lifestyle changes, prescribe one blood pressure-lowering medication, and reassess in one month. Patients who achieve their blood pressure goal in one month should be re-evaluated in three to six months. For those who don’t, physicians should consider increasing the medication dose or switching to a new drug. Stage 2 hypertension: Recommend healthy lifestyle changes, prescribe two blood pressure-lowering medications from different drug classes, and re-evaluate in one month. Patients who achieve their blood pressure goal in one month should be re-evaluated in three to six months. For patients who don’t meet the goal, physicians should consider increasing the medication doses or switching to new drugs, and then continue following the patients monthly until they reach their blood pressure goal. For patients with no history of cardiovascular disease and a 10-year cardiovascular risk less than 10 percent, antihypertensive therapy should be initiated when blood pressure exceeds 140 mmHg or higher systolic or 90 mmHg or higher diastolic, with a target blood pressure goal of less than 130/80 mmHg, the guidelines state. Among those with a history of cardiovascular disease, a 10-year cardiovascular risk of 10 percent or higher, or the presence of diabetes or CKD, the guidelines recommend a threshold of 130/80 mmHg to begin antihypertensive treatment, with a goal of reducing blood pressure below that level. Treatment also is recommended for any adults over age 65 with systolic blood pressure of 130 mmHg or higher. 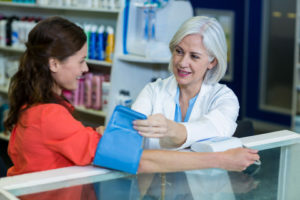 While research supports the importance of maintaining optimal blood pressure, achieving lower blood pressure targets could necessitate more intensive treatment, and with it, a greater risk of side effects and potentially dangerous drug interactions. So, you and your healthcare team must carefully weigh the risks and benefits and tailor a treatment strategy best suited for your individual needs. Although several things have changed with the new hypertension guidelines, your role in reducing your cardiovascular risk hasn’t. If you have hypertension, remember that a heart-healthy diet, adequate exercise, and other lifestyle interventions can reduce systolic blood pressure by about 4 to 11 mmHg, the AHA points out. So, adopt a heart-healthy diet, such as the low-sodium Dietary Approaches to Stop Hypertension (DASH) diet, and aim for at least 150 minutes of aerobic physical activity a week. Use these strategies to help maintain an optimal body weight or, if you’re overweight, to shed pounds—the guidelines note that most people can expect about a 1 mmHg reduction in blood pressure for every kilogram (about 2.2 pounds) of weight loss. If you drink alcohol, limit your intake to no more than two drinks a day for men and one a day for women. And if you smoke, talk to your medical professional about ways to quit. alcohol, atherosclerotic cardiovascular disease, blood pressure, cardiology, cardiovascular, cardiovascular disease, cardiovascular disease risk, cardiovascular risk, chronic kidney disease, dash diet, diabetes, diet, dietary approaches to stop hypertension, exercise, for high blood pressure, healthy diet, healthy lifestyle, heart disease, heart healthy, heart healthy diet, high blood pressure, hypertension, hypertension guidelines, lower blood pressure, new hypertension guidelines, physical activity, prehypertension, reducing blood pressure, risk of heart disease, side effects, stop hypertension, stroke, systolic blood pressure. I hv only just Now downloaded this report. I will give a comment afterwards! !